Please contact me for any future information, class is at your place or my place. Power yoga is a general term used in the West to describe a vigorous, fitness-based approach. Many consider it to be “gym yoga”. Power Yoga does not follow a set series of poses, so classes can vary widely. With its emphasis on strength and flexibility, Power Yoga can be seen as a good work out. Benefits: Overall health, well being and flexibility, alleviates depression and anxiety, de-stressing. Works on toning, strength, stamina of muscles and weight-loss. Level: Great for more advanced yogi’s. 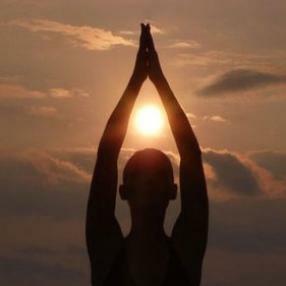 The word “hatha” comes from the Sanskrit terms “ha” meaning “sun” and “tha” meaning “moon”. Thus, Hatha Yoga is known as the branch of Yoga that unites pairs of opposites referring to the positive (sun) and negative (moon) currents in the system. It concentrates on the third (Asana) and fourth (Pranayama) limb in the Eight Limbs of Yoga. Yoga focused on breathing and postures which are held for a while to benefit from their healing power. Benefits: Overall health, well being and flexibility, alleviates depression and anxiety, de-stressing. By breathing we clean our system and fill it with new energy. Also works on strength. Level: Great for beginners and more advanced yogi’s. 50 minutes of active, flowing vinyasa, followed by 10 minutes of exquisite, restful restorative meditation. Power Yoga gets your body flowing, creates heat, improves coordination, balance ,strengthens your muscles and has a strong emphasis on challenging your body in a fun way, while the restorative aspect of the class allows you to cool down in a grounded and mindful way.